I started my weight loss journey in January and I have slowly but surely had success in losing some weight, almost 15 pounds to be exact. I still have a little ways to go but I’m proud of myself for the progress I’ve made. Soon after I joined Weight Watchers, I started using the Headspace meditation app. My new meditation practice enhanced my ability to focus on how I was feeling when I wanted to eat and on not worrying about the numbers on the scale. My daily mindfulness practice helped me to take the time to plan my meals, helped me with remembering to track my food, and to slow down during meal-times. I’ve been enjoying the intersection of mindfulness and weight loss for a few months now and it seems that Weight Watchers has caught on too. This past Sunday when I came into the meeting the weekly handout said, “The power of mindfulness”. Wow! Being a mindfulness practitioner you can imagine my excitement. After talking about the previous week and about what mindfulness is, the leader actually led the group through a short two-minute breathing exercise. It was so energizing to sit in a room and feel the stress release happen almost instantly, to hear everyone let out a collective sigh, and to feel people just let go a little. I took some time to think about why my mindfulness practice had aided in my weight loss journey over the past few months. I’m listing the ways mindfulness and mindful eating have helped me here. Stress can lead to overeating. Mindfulness reduces stress. Try mindfulness meditation to enhance your ability to release worry of the past and concern for the future and be present in and grateful for this moment. 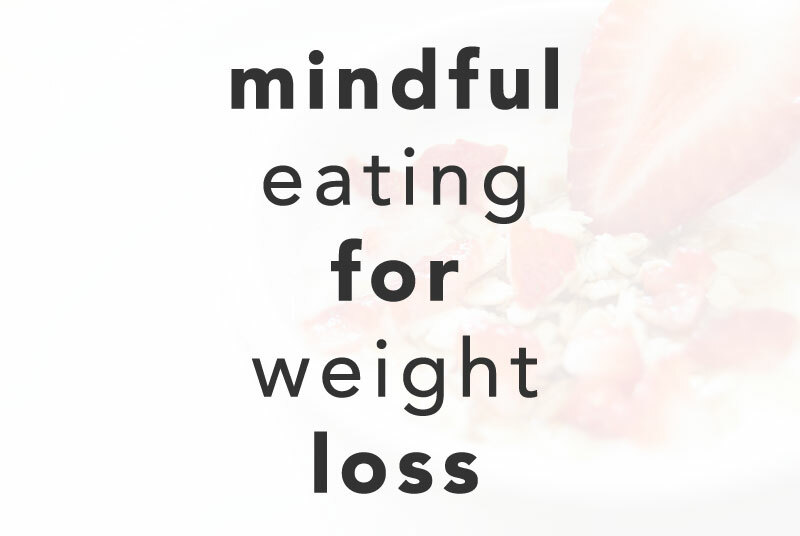 Mindfulness and mindful eating helps you recognize why you’re eating and when you’re full. Check in with your body and your emotions before you reach for that midnight snack and during each daily meal. Ask yourself am I really hungry? Am I feeling full yet? Mindfulness and mindful eating allows you to slow down and truly enjoy and be present with your meal and the act of eating. Try eating without talking or doing anything else. No phone, no reading, no TV. Takes small bites, really chew and savor your food. Think about the origin of your meal. The farmers who farmed, the pickers who picked, the packers who packed, the shippers who shipped, the stockers who stocked, the checkers who checked, the cook who cooked. Thinking about your meal from origin to table will add a whole new dimension to being truly present with your food. Emotional over-identification (happy or sad) can lead to overeating. Mindfulness helps us recognize our emotions and process them in a healthy way through meditation and non-judgmental present moment awareness rather than through food. We are not our emotions, we are not our thoughts, and we are not what we eat either. For the next few weekly meetings, we’ll continue to talk about about mindfulness for Weight Watchers’ Get Happy summer initiative. I’m excited to see the effects these next few weeks may have on the group and I want to contribute to the conversation in a helpful and meaningful way. If you’re thinking about starting a weight loss program consider Weight Watchers, I’m really enjoying their well-rounded approach. Here’s a funny take on what you can expect at your first meeting. What are your thoughts on mindfulness and weight loss? Has mindfulness helped you reach a health goal? I’d love to hear about it in the comments.